Picking our top 18 gowns of 2018 was nearly impossible. There are SO many gorgeous gowns around our dearly beloved town. So we tried to pick a variety of styles to showcase the trends we loved most in 2018. Now scroll on! This is wear it’s at. 1. 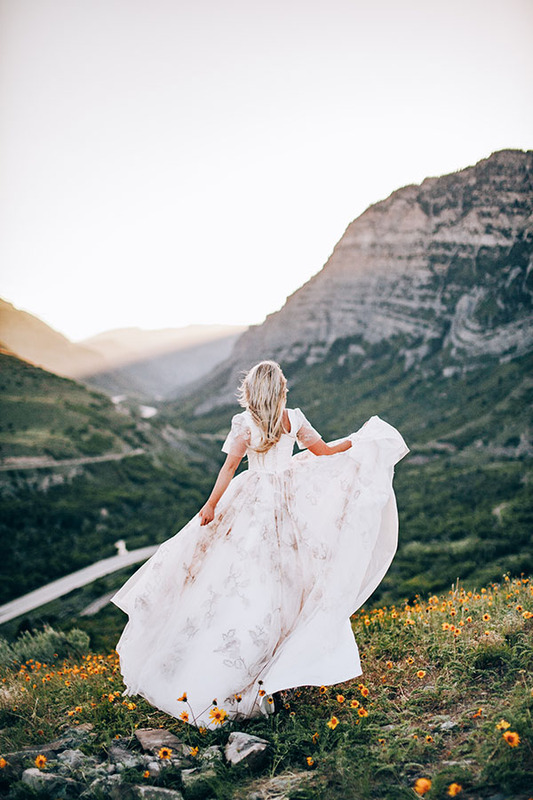 AS SEEN IN Katelin + Cameron // GOWN Alta Moda Bridal // PHOTO Rebekah Westover Photography (a #UVBvendor!) 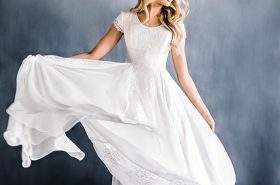 // UVB SAYS This Hayley Paige gown (which graced one of our 2018 covers!) stole our hearts the second we saw it. From the whimsical detailing, to the movement, to the amazing amethyst color, bride Katelin Parcell just sparkles. It’s easy, breezy, beautiful, cover bride. 2. AS SEEN IN Baby, Let’s Dance // GOWN Pritchétt Bridal (a #UVBvendor!) // PHOTO Summer Rae // UVB SAYS Those SLEEVES. They are so fun, flirty and fabulous that we’ll never be over them. 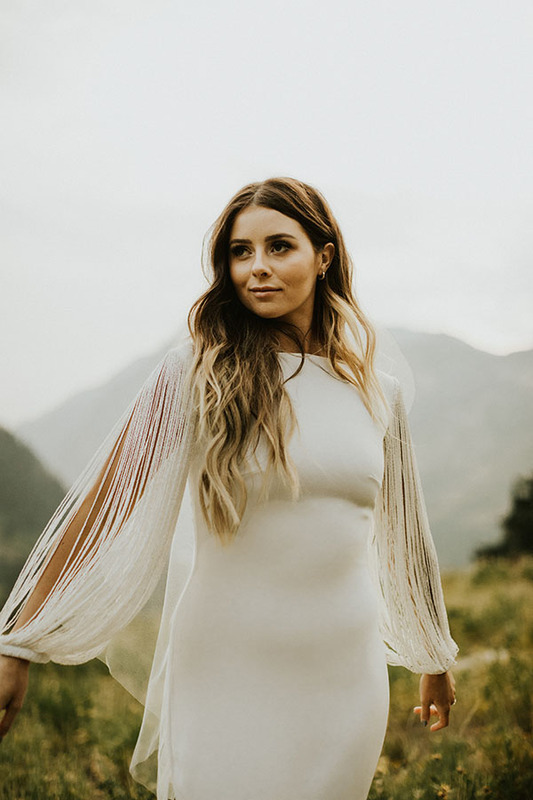 And we can’t think of a more perfect gown for the gorgeous Brooklyn Fullmer, who hails from Dancing with the Stars and So You Think You Can Dance. Plus! 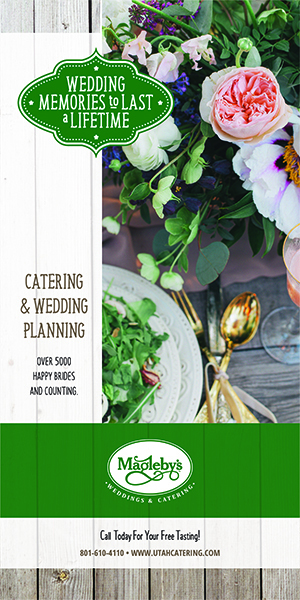 Brooklyn’s wedding will be featured in our 2019 issue. Can’t wait for y’all to see. 3. AS SEEN IN Our 2018 gown editorial // GOWN Harlow Brides (a #UVBvendor!) // PHOTO Kristina Curtis Photography (a #UVBvendor!) // UVB SAYS The beading on this gown just slays us. 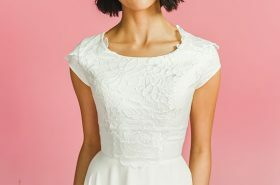 And how gorgeous is that scalloped sleeve and blousey waist? Casual chic perfection. 4. 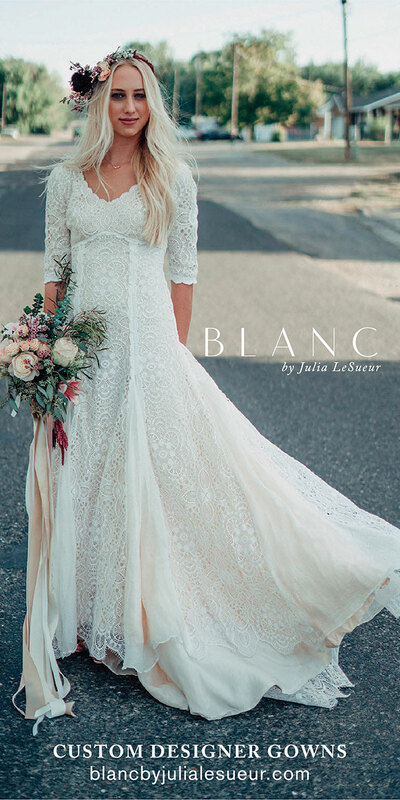 AS SEEN IN Solo Tu // GOWN Chantel Lauren Designs // PHOTO Alixann Loosle Photography (a #UVBvendor!) // UVB SAYS The hand-painted skirts at Chantel Lauren are what legends are made of. 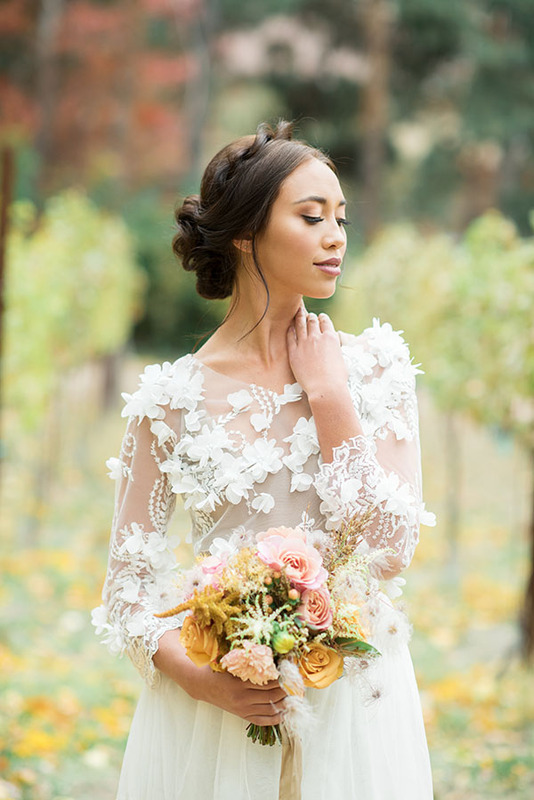 We LOVED this frock, which was featured in our 2018 Italian editorial designed by Michelle Leo Events. 5. 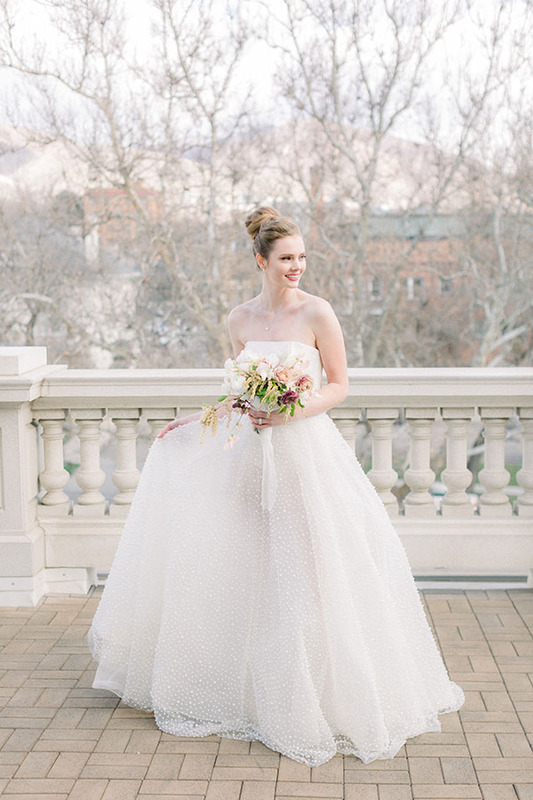 AS SEEN IN Vintage Elegance // GOWN Natalie Wynn Design // PHOTO Connie Balluff (a #UVBvendor!) // UVB SAYS This off-the-shoulder, two-piece gown is such a stunner. We love the lace and how sleek and lovely this look is. And paired with that incredible veil? We’re goners. 6. 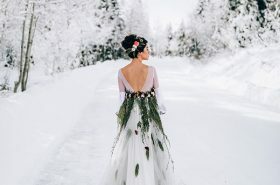 AS SEEN IN Our 2018 gown editorial // GOWN J. Noelle Design (a #UVBvendor!) // PHOTO Kristina Curtis Photography (a #UVBvendor!) // UVB SAYS This 3D lace top is fresh, fanciful and fierce. What a showstopper. 7. AS SEEN IN Our 2018 gown editorial // GOWN Bitsy Bridal (a #UVBvendor!) // PHOTO Kristina Curtis Photography (a #UVBvendor!) 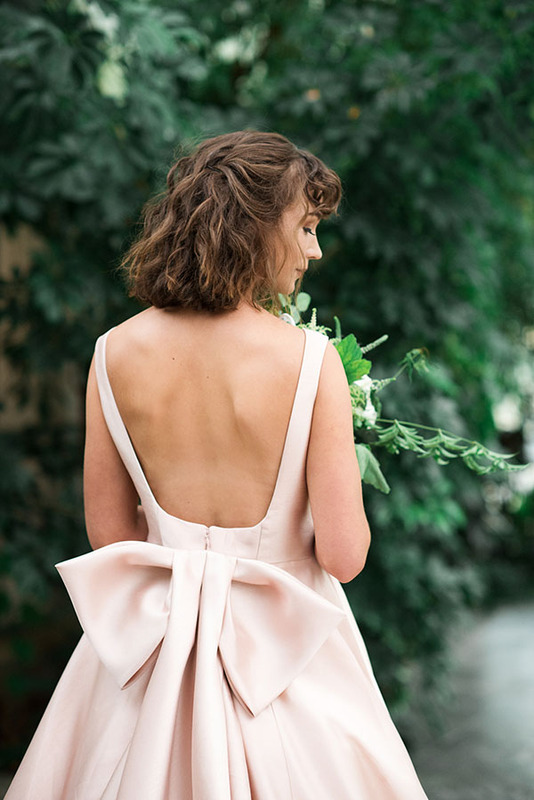 // UVB SAYS Bows are back — and nothing makes us happier. Oh, except maybe that this is pink. Bows and pink — two of our very favorite things. 8. 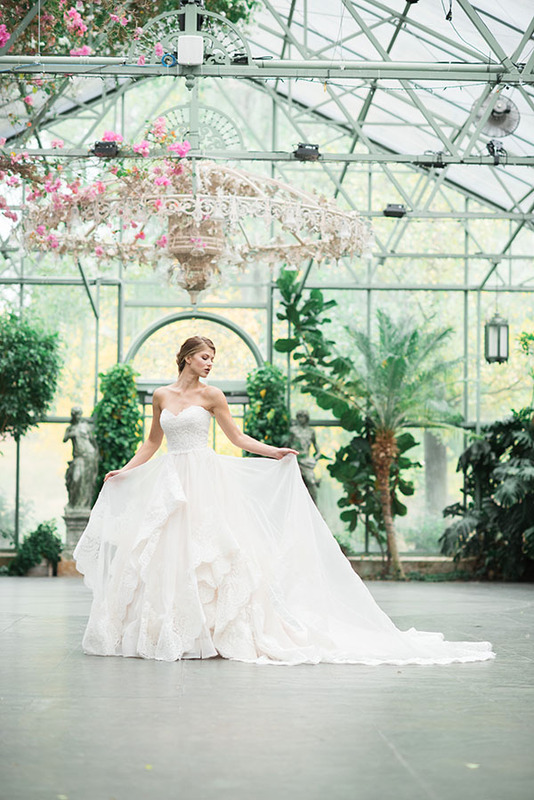 AS SEEN IN Taste of the Tropics // GOWN Pritchétt Bridal (a #UVBvendor!) 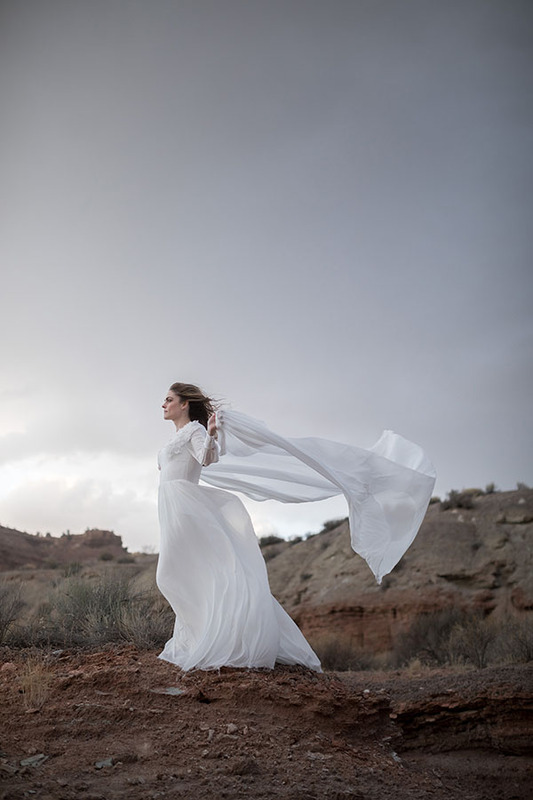 // PHOTO Julia Mather Photography // UVB SAYS Oh, hello wondrous winged sleeves! 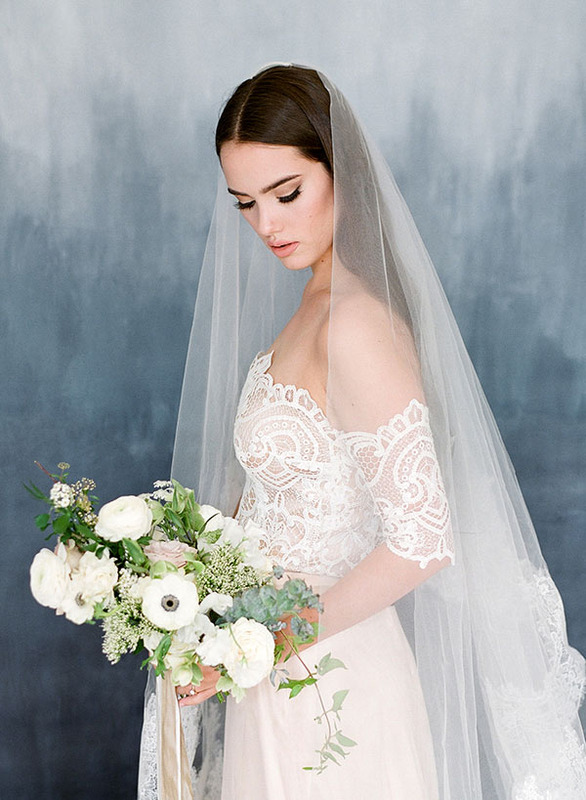 Plus, when the bride turns around, that stunning lace turns into a mini capelet — and we are so here for it. 9. 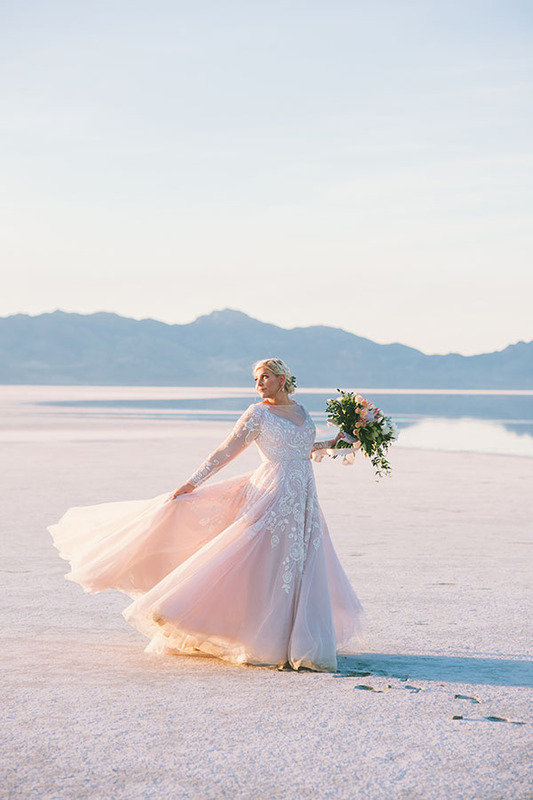 AS SEEN IN Queen of the Sun // GOWN Elizabeth Cooper Design (a #UVBvendor!) // PHOTO Alyssa Ence Photograpy // UVB SAYS How fabulous is the height on these sleeves? And we love how the tulle overlay crosses on the bodice and then flows into the skirt. Royally gorgeous. 10. AS SEEN IN Our 2018 gown editorial // GOWN Modest by Mon Cheri (a #UVBvendor!) // PHOTO Kristina Curtis Photography (a #UVBvendor!) // UVB SAYS Long sleeves. Lace. Absolute loveliness. 13. 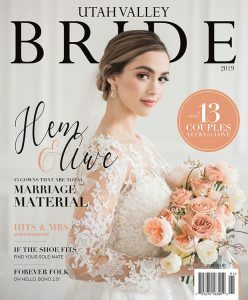 AS SEEN IN Our 2018 gown editorial // GOWN The Brides’ Shop (a #UVBvendor!) // PHOTO Kristina Curtis Photography (a #UVBvendor!) // UVB SAYS Audrey Hepburn meets 2018. 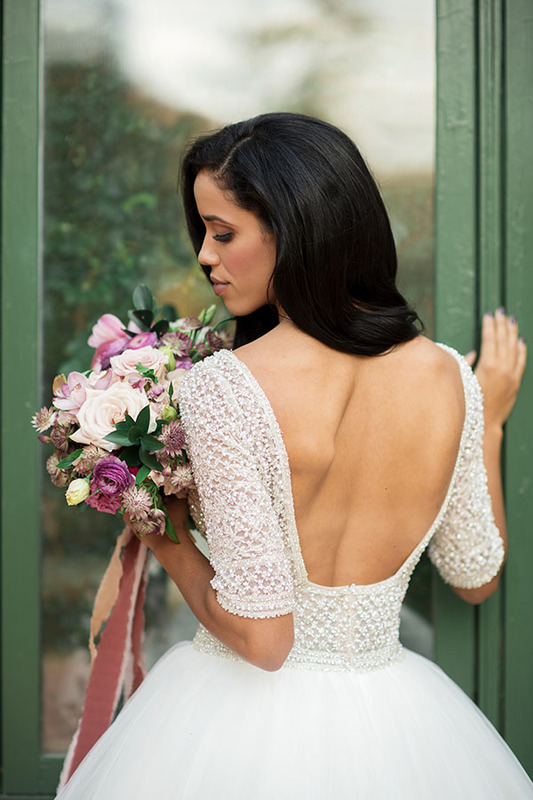 That high collar with just a touch of sleeve sparkle has us swooning over the stunning simplicity. 14. 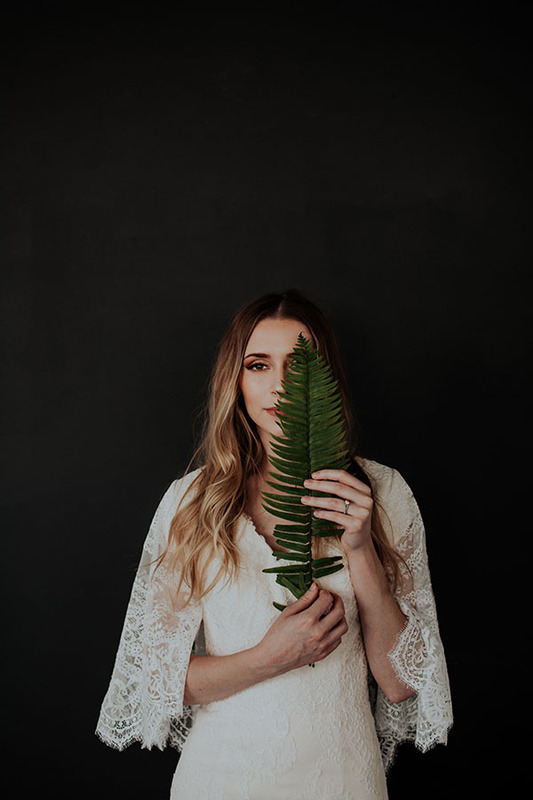 AS SEEN IN Wild Child // GOWN Restoration Bridal // PHOTO Julia Mather Photography // UVB SAYS That subtle floral print just makes us want to weep with joy. And the fullness of the skirt is everything. 15. AS SEEN IN Our 2018 gown editorial // GOWN Mary’s Bridal (a #UVBvendor!) // PHOTO Kristina Curtis Photography (a #UVBvendor!) 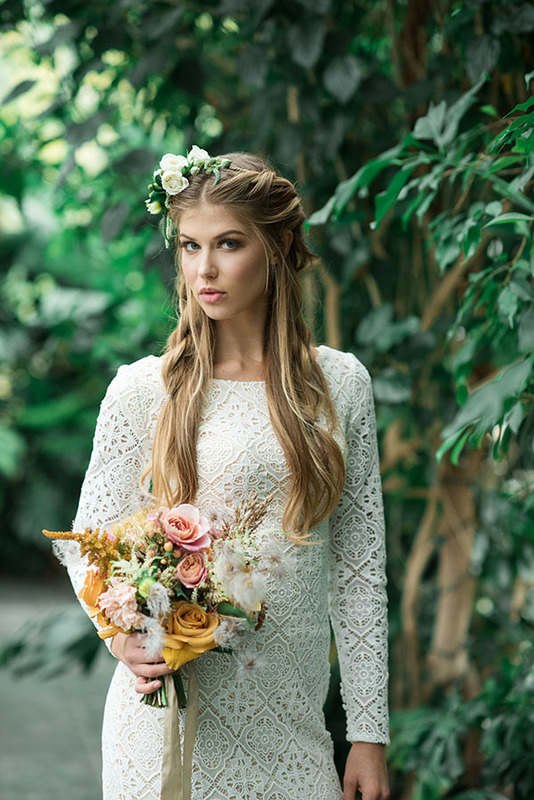 // UVB SAYS The boho vibe and larger-than-life sleeves are perfect for the bride who wants to turn heads and hearts. 16. 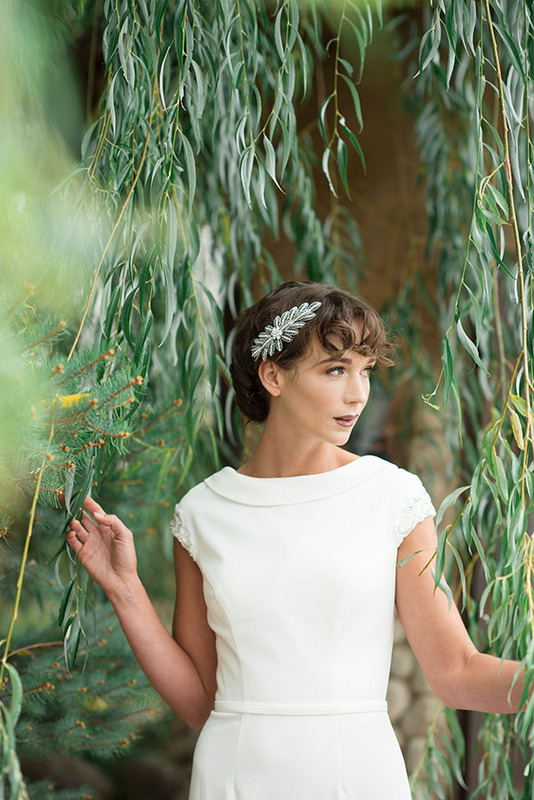 AS SEEN IN Fields + Dreams // GOWN Boda Bridal (a #UVBvendor!) // PHOTO Joce Johnson Photo + Film (a #UVBvendor!) // UVB SAYS So smitten with that lace detailing on the skirt and the sleeves! Perfect for flirting and for flipping. 18. AS SEEN IN Effortless Elegance // GOWN Jean & Jewel // PHOTO Connie Balluff (a #UVBvendor!) // UVB SAYS This gown is a textured tour de force. Truly. That skirt is like little dots of heaven. It’s pure elegance — and still fabulously fun.